Is it cruel to ask low-income kids to work for their school lunch? From the pages of the New York Times: New Mexico says yes. Culture war? No, civil religion. In the Atlantic, Emma Green interviews Phil Gorski about American Covenant. How can we tell if our teachers are any good? Not by using students’ standardized test scores. At least, that’s the decision in Connecticut this week. Ivanka is “totally in love” with education issues. That’s what President Trump said, anyway, at a recent education town hall event. Other quips? Urban education is “rough.” Everyone loves Betsy DeVos. Common Core is out. Charters are in. As reported by WaPo’s Valerie Strauss. Yes! Rick Perlstein explains in the New York Times why Trumpism took historians of American conservatism by surprise. You’ve seen the clips: United Airlines beats up its customers in an attempt to keep its flights on time. Peter Greene argues that the incident is more proof against Trump-style school reform. What’s wrong with the Department of Education? A Trumpist in Congress makes his case. I can’t believe you omitted the big ongoing showdown at Gordon. It’s true, I haven’t been following the story as closely as I’d like. But in my defense, I did mention it last week. Oh, I missed it. Looking forward to your thoughts on it. 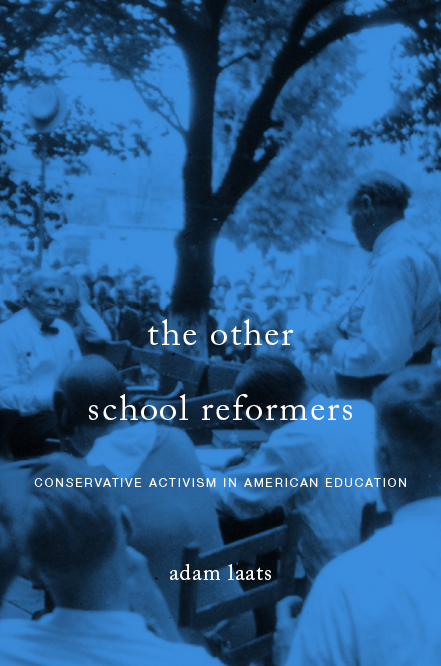 It seems to me that faculty disempowerment (often through straight up authoritarian administrative disregard for established procedures) is a major part of the story of how many Christian colleges have shifted far to the right even by conservative standards. Pressure to adopt donor-approved positions on issues faculty feel it is their role or “office” to form through study and discussion leads to a direct assault on the limited forms of academic freedom that are operative in these schools — what many would say is an attack on their proper role, calling, office, or sphere of authority. So given enough strong-arming, even conservative faculty will stand with more liberal colleagues against administrations they see as a common threat.